Be free…. be yourself with Linux. It’s turn base fantasy strategy game. Defeat your enemy Leader using your troops. Select the Fatal Weapon to kill your enemy. Need to get 27.9MB of archives. After unpacking 51.5MB of additional disk space will be used. Selecting previously deselected package wesnoth-data. Selecting previously deselected package wesnoth. 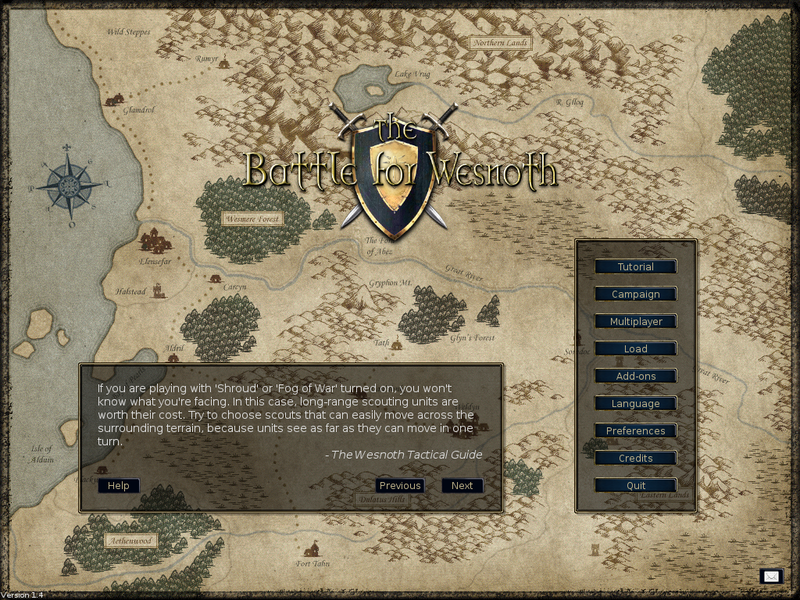 In the main screen you will see Main Menu on the right side and Tactical guide on the left. Before you start to play, I suggest you to go to Tutorial Menu. It will teach you the basic skills. If you want to know what is Forex Trading, you can try with AVAFX. The website is available at www.avafx.com. Although the application is for Win*, but you still can run it in Ubuntu with Wine. I’ve tried it and it run smoothly with Wine. I will not explain how to register an account, here. It’s a standard web register. So, there is no difficulty at all. 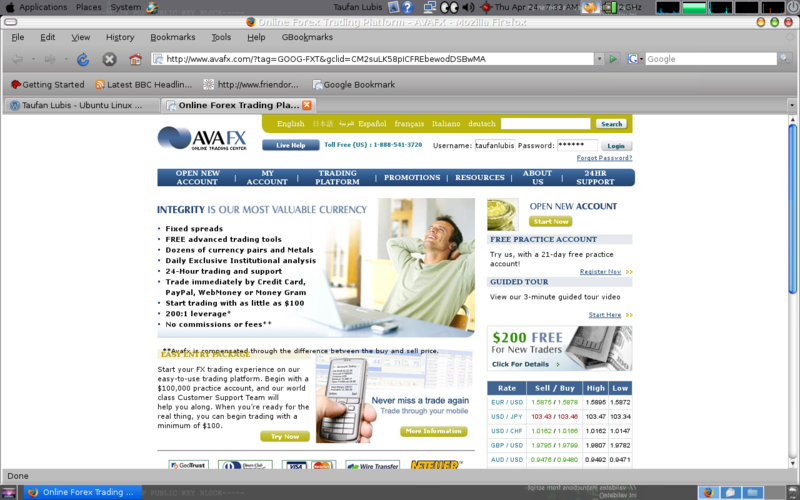 Before we start, I assume that you have an account in AVAFX (Online Trading Center) already. If not than you can try with ‘Free Practice Account’. It’s a 21-day free practice account. Just click ‘Register Now’ and follow all the instructions. For the starter you will have US$ 100.000 practice account. When you ready for the real thing, you can begin trading with a minimum US$ 100. If you are a Poker Player, Linux has a game for you called ‘kpoker’. It’s designed for KDE but you still can play it on GNOME. Need to get 168kB of archives. After unpacking 504kB of additional disk space will be used. Need to get 636kB of archives. After unpacking 1143kB of additional disk space will be used. Why do we still need ‘on screen keyboard‘ meanwhile with can type directly using normal keyboard? There are few main reasons, such as using for a ‘Touch Screen Monitor’ for Display with no normal keyboard and the other thing is for security thing. If you use internet banking and you are afraid someone monitor your key press then you may use this program. Need to get 357kB of archives. After unpacking 1110kB of additional disk space will be used. Need to get 742kB of archives. After unpacking 1491kB of additional disk space will be used. 0 upgraded, 2 newly installed, 0 to remove and 2 not upgraded. Need to get 1358kB of archives. After unpacking 3928kB of additional disk space will be used. Gnu Debugger – How to set a break point? How to send email via gmail server using openssl? How to fix 'ioctl(SIOCSIWMODE) failed: Device or resource busy ' problem. Sony PSP - How to download free sony psp iso games? How to check if someone ping your system using tcpdump? How to install bluesnarfer in Linux Ubuntu? Terminator – Multiple GNOME terminals in one window.